Córdoba is the northernmost of the eight provinces of Andalucía, and is home to over 800,000 people, of whom around 40% live in the capital. This historic city is a major tourist destination, and nature tourism has also become an important feature of the area in the 21st century. In terms of its geography the province consists, broadly speaking, of three main areas: the Guadalquivir valley and its fertile flood plain run from east to west across the centre, with the mountains and nature reserves of Sierra Morena to the north and the undulating landscape and farmland of La Campiña to the south. Córdoba is not a coastal province, but in spite of this the countryside is varied and beautiful, and in terms of climate the rain which falls in the mountains contrasts with the dry and blisteringly hot summers in the south of the province. Almost uniquely, the city of Córdoba can boast three World Heritage Site statuses: first, the mosque was included in Unesco’s list, and since then the rest of the historic city centre has been included and the Fiesta de los Patios which is held every spring in the city centre, particularly in the Alcázar Viejo area has been declared a separate Unesco heritage item. In addition, Córdoba was central to the development of another Unesco Intangible Cultural World Heritage item: flamenco. Although the area has been inhabited since prehistoric times, the first known settlements date from the Bronze Age, in about 800 BC, and over the following centuries the location of the city of Córdoba as the highest navigable point on the Guadalquivir made it an important settlement for Greeks, Romans, Visigoths, Muslims and Christians in turn. The Romans used it to export olive oil back to Rome, building the 331-metre bridge which is still known as “El Puente Romano”. 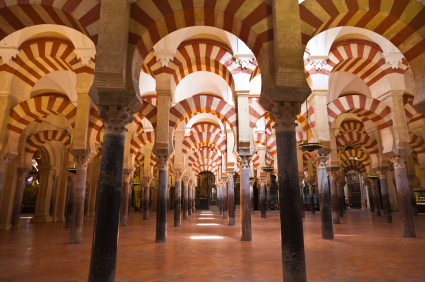 The best known historical heritage from these successive waves of colonizers and rulers comes from Córdoba’s time under the rules of the Moors, who arrived here in 711 and by the tenth century had made it the largest city in the world. As such it was home not only to upwards of half a million people but also to great wealth, and this combination led to it being one of the leading cultural centres of early medieval Europe. 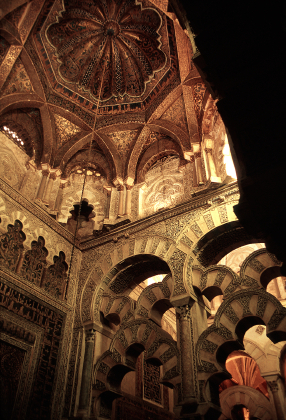 Work on the Mezquita, or Great Mosque, began during this period, which ended when the Christians conquered Córdoba in 1236. After the first construction was started in 785 extensions were added by later Arab rulers, and such was the admiration of the Christian conquerors for the labyrinth of columns and arches that they were spared destruction: in fact the Christians built their cathedral in among the Arabic structures. The mosque itself occupies an area of 24,000 square metres, and at its peak could hold as many as 10,000 worshippers, making it the second largest pilgrimage site after Mecca. While the city under the Moors was Muslim, Jews and Christians were tolerated: the medieval quarter is still known as “La Judería” (The Jewry), and includes the ancient synagogue. Nowadays visitors are enthralled by the old city centre, which at certain times of year is filled with the scents of orange blossom and the tuberose plants which are much used in perfumery, and although the streets are narrow and compact the city is dotted with patios in which shade and cool temperatures can be found on even the hottest of summer days. The multi-cultural past of the province of Córdoba is reflected in many walks of life, perhaps none better than the gastronomy. The Romans introduced the widespread use of olive oil, providing the basis for the Mediterranean diet, and the Moors established the prevalence of dried fruit and nuts, vegetables and desserts. The Christians then added the meat dishes for which Córdoba is now well renowned, especially in terms of ham, chorizo and morcilla. Among the many typical dishes now available in the province’s bars and restaurants are oxtail, salmorejo (a purée of tomatoes, oil, bread, garlic and vinegar) and “olla cordobesa”, a mixture of local ingredients which normally includes chick-peas, cabbage, onions, garlic and bacon. There is also a wide variety of sweets, and among the most appreciated wines of Córdoba are various sherries, amontillados and Pedro Ximenez. As in the rest of Spain there are local fiestas throughout the year, but in Córdoba the spring and, more specifically, the month of May are especially important. Following Carnival in February and the Easter Week processions, the first week of May sees the Cruces de Mayo, with spectacular street shrines consisting of crosses made from flowers adorning the streets. 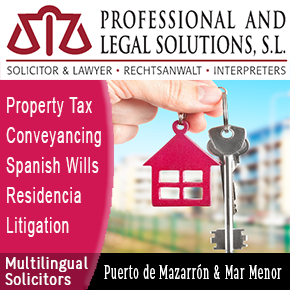 This is followed by the Fiesta de los Patios in the third week of May and, at the end of the month, the Feria de Córdoba, which is a flamenco-style celebration similar to the better-known equivalent held in the city of Sevilla. And of course, flamenco, Córdoba one of the major centres in Spain for flamenco throughout the year. The city of Córdoba, as befits its rich past, is home to a number of interesting museums, which include not only the inevitable archaeological, artistic and historical displays but also institutions with specialized exhibitions of jewelry, gold and silver work, ceramics, torture devices from the Inquisition and leatherwork. It is thus possible to spend an afternoon learning more about leather and whips while at the same time widening one’s knowledge of the cultural heritage of southern Spain! It is not surprising that the city of Córdoba attracts the majority of visitors to the province, but those wishing to sample the true culture of this most Spanish of areas should make the effort to explore the rest of the 5,000 square kilometres included within its boundaries: the towns of Lucena, Puente Genil and Montilla are the next most populous after the capital, all boasting historic pasts, and the landscape and wildlife are protected in three natural parks and numerous beauty spots. The 75 municipalities in the province of Córdoba are grouped for administrative purposes into eight “comarcas”, which are the Alto Guadalquivir, Campiña de Baena, Campiña Sur, Subbética, the metropolitan area of Córdoba, Valle de los Pedroches, Valle del Guadiato and Valle Medio del Guadalquivir.